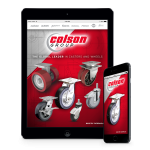 Colson Caster, the world’s leading manufacturer of caster and wheel products, announced today that it has expanded its free online 3D modeling program to include new brake and bearing options. The online modeling program allows users to easily configure and download any of Colson’s most trusted caster series in their native format and then easily incorporate it into their chosen design software—saving users time and their company money. The new additions add brake and bearing options to some of their most popular series, including: 1-1/4” wide 2 Series product line and the 2” wide 4 Series product line. The complete 1-8 Series of casters are also available to cover any light to heavy duty application. 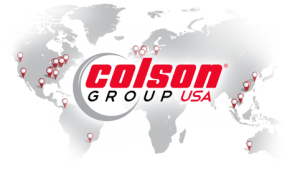 “The impressive reception from our customers on the online 3D program encouraged us to move quickly to include expanded product offerings,” said Charles Harris, testing and quality manager for Colson Group USA. “Customers quickly and effectively incorporate Colson caster products into their own custom designs using this program. 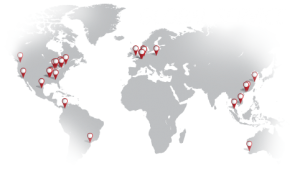 The availability of our entire product inventory, from 1 Series to 8 Series casters makes the process even more valuable for our customers,” added Harris. Colson’s interactive, 3D modeling program reduces a process that previously took hours to just minutes. 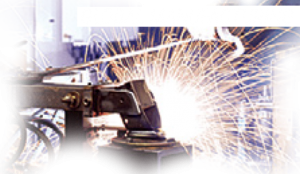 The customer is able to quickly view and identify first-choice caster solutions as well as possible alternate caster options by adjusting product parameters in this program. In turn, customers do not lose time searching for a product that does not fit or exist. Upon selection of the desired caster product, customers can even request a quote. 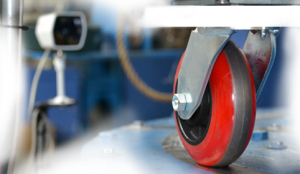 Should a caster design require specifications not found on the 3D modeling program, as always, Colson’s engineering and manufacturing experts are available to custom design a caster to meet any specification. Expansions to the program include new sizes for the 2 Series Stainless Steel line, as well as an updated Total Lock brake design and new Top Lock Brake in 4 and 6 Series casters. In addition, customers will now find options for a Pedestal Precision Ball Bearing and a newly designed Side Lock brake in all 4 – 6 Series product lines. Colson’s online 3D modeling program, with the expanded product offering, is available now by clicking on the “Build 3D Model” icon on the www.colsoncaster.com home page, and is offered free to any visitor to the site.